Residents of High Point, Greensboro, Thomasville, Kernersville, Winston, or Salem, NC, no longer have to let bad credit stop them from purchasing the vehicle they need. Having bad credit is not the end of the road for new Nissan car shoppers. At Vann York Nissan, we would like to put you on the road today in a brand new Nissan Sentra or Altima! It's your future that concerns us most, not your past. Even if you have been told "No" by every other dealership, we will work with you to get you the new Nissan Sentra or Altima that you will love. We know that you are often at the mercy of your financial situation to maintain and build your credit. A consistent payment on a vehicle is one of the best ways to build your credit back up. 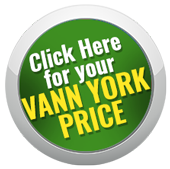 We offer easy approvals, great interest rates, and terms for virtually every type of buyer. Our fast and secure application takes only a few minutes to complete, and there are absolutely no obligations. So, if you have bad or bruised credit, divorce, bankruptcy, or judgments, or if you are tired of the huge down payments and high interest rates that come with buying and financing a new vehicle and live in Kernersville, Greensboro or Winston-Salem, come to Vann York Nissan! Our fast and secure application takes only a few minutes to complete, and there are absolutely no obligations. This process is quick and painless, and could save you big in the future. Let us help. All you need to do to get started is to fill in the required information. Once you finish, a representative will be with you shortly to confirm your appointment.